Have you ever imagined a tool that can centralize all your marketing efforts, measure the impact of your campaign across the different media channels and from this insights run and optimize your strategy in real-time? 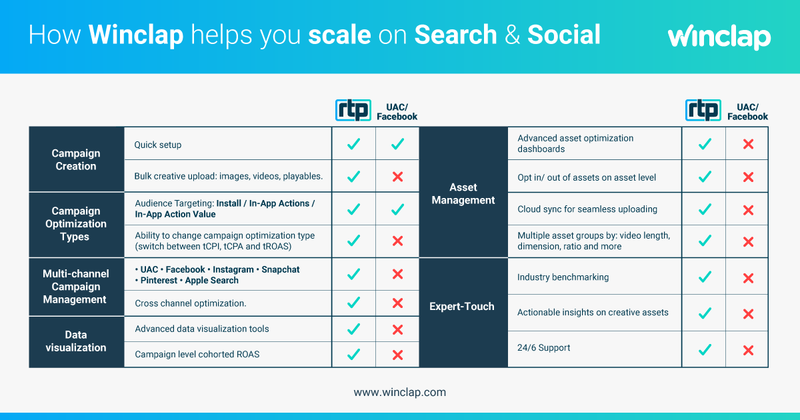 In this graph you'll find which is the opportunity of centralizing your Search (Google & Apple) & Social (Facebook, Instagram, Snapchat, Pinterest) campaigns with an AI tool (Artificial Intelligence). Manage all your platforms and your millions of data insights in one single place.